Thirteen-year-old Leni, a girl coming of age in a tumultuous time, caught in the riptide of her parents’ passionate, stormy relationship, dares to hope that a new land will lead to a better future for her family. She is desperate for a place to belong. Her mother, Cora, will do anything and go anywhere for the man she loves, even if it means following him into the unknown. Review: This is the first time in a long time that I have actually felt like I’ve wanted to post a book review. I can’t even remember the last book I reviewed on this blog. I got this book last year from the Book of the Month Club but like most of the other books I got from that, it sat on my shelf unread. For as long as I can remember I have had a fascination with Alaska and living life in the bush. Do I think I could live that way myself, HA probably not. I would miss certain things about the modern world too much. When I finally started reading this I wasn’t quite sure where it was going to go. I hadn’t read the summary for awhile so I mostly forgot what it was about, except that it was Alaska. It didn’t take me long to feel a kinship with the main character, Leni Allbright. She was so relatable and everything that happened to her really solidified my attachment to her. I struggled so hard with the moments of abuse in this book. Not just because it was hard to read but because I wanted to reach through the pages and throttle Leni’s horrible father. I also found myself getting angry at her mother because it was clear to see she was never going to do anything to free herself and Leni. Don’t get me wrong, I know it isn’t her mother’s fault and that abusive relationships are hard to break free from, but that’s just how I felt in the moment. I don’t want to say too much more about it because… spoilers… so if you want to know how that whole situation goes down, you’ll have to read it for yourself. I absolutely loved the secondary characters that Leni encountered in their new home. Especially Matthew Walker and Large Marge. They were so good to Leni and helped her in any possible way that they could. My heart broke so many times for Leni throughout this book. She did not deserve all of the terrible things that happened to her, and neither did her mother. There were moments where I was so worried, I was literally sitting on the edge of my seat. This book was so well written, I felt like I was there in Kaneq. 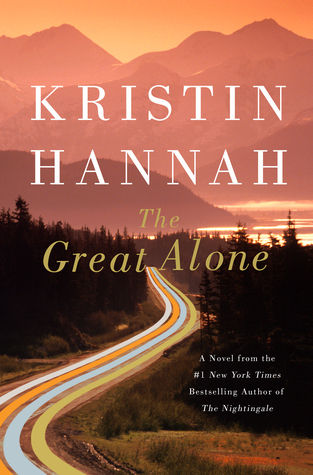 I had never read a Kristin Hannah book before but this book was so good I will definitely be on the lookout for more! Alaska’s Arctic National Wildlife Refuge, home to only a handful of people, is a harsh and lonely place. So when James Campbell’s cousin Heimo Korth asked him to spend a summer building a cabin in the rugged Interior, Campbell hesitated about inviting his fifteen-year-old daughter, Aidan, to join him: Would she be able to withstand clouds of mosquitoes, the threat of grizzlies, bathing in an ice-cold river, and hours of grueling labor peeling and hauling logs? But once there, Aidan embraced the wild. She even agreed to return a few months later to help the Korths work their traplines and hunt for caribou and moose. Despite windchills of 50 degrees below zero, father and daughter ventured out daily to track, hunt, and trap. Under the supervision of Edna, Heimo’s Yupik Eskimo wife, Aidan grew more confident in the woods. Campbell knew that in traditional Eskimo cultures, some daughters earned a rite of passage usually reserved for young men. So he decided to take Aidan back to Alaska one final time before she left home. It would be their third and most ambitious trip, backpacking over Alaska’s Brooks Range to the headwaters of the mighty Hulahula River, where they would assemble a folding canoe and paddle to the Arctic Ocean. The journey would test them, and their relationship, in one of the planet’s most remote places: a land of wolves, musk oxen, Dall sheep, golden eagles, and polar bears. At turns poignant and humorous, Braving It is an ode to America’s disappearing wilderness and a profound meditation on what it means for a child to grow up—and a parent to finally, fully let go. Review: I received this ARC through LibraryThing in exchange for an honest review. I have been obsessed with Alaska for the last few years so when I won this book I was so excited! When I started the book, I wasn’t really sure if I would end up liking it. It was a little different than I had expected. But I quickly got caught up in the Alaskan adventure and found myself wondering if I had what it took for this 15 year old to do. Growing up being outdoorsy with my parents and hiking all over and going to the Boundary Waters ever since I was small enough to be carried on my parent’s backs, I loved seeing the bond that it created with James and his daughter. His cousin, Heimo, was so hilarious and I definitely want to read/watch more about him sometime in the near future. 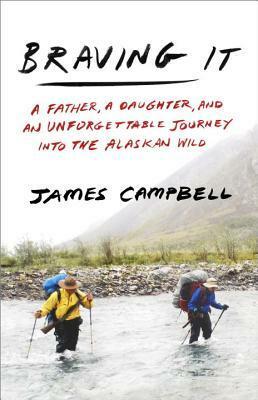 Overall, this was a fascinating and sometimes harrowing adventure that I would be happy to recommend to other people with an interest in the subject matter, be it Alaska or father-daughter relationships. Hi, I'm Maren! I'm a 32 year old book lover located in Minnesota with my husband and two adorable but pesky cats. I am obsessed with Outlander. My favorite genres include fantasy, historical fiction, supernatural, either in YA or adult fiction. My favorite authors include Jane Austen, Diana Gabaldon, Robert Jordan, Jay Kristoff, Colleen Hoover, Sarah J. Maas, Leigh Bardugo, and Laini Taylor. Maren has read 34 books toward her goal of 75 books. It's Goosetown season again! Finally have some nice weather to enjoy being out on the deck.